NGames has provided a detailed account of a newly added mechanic to their upcoming free-to-play title, Divines of the East. The 2D side-scrolling MMORPG is currently in closed beta but like many unreleased online games has already started gaining popularity. The announcement focused on the game?s Servant System, which is obviously derived from the same ancient mythology the rest of the game is. There are six mythical Servants to choose from. These creatures include Beasts, Spirits, and Half-demons, each having the ability to be customized to suit each gamers play style. Servants are much like mercenaries or pets in other MMOs. Player?s will not only see progression and improved skills through their own character, but in their allies too. Servants will require a lot of practice, which players can accomplish through different methods of XP gain. There?s even more information on the game?s website, along with a handful of other Asian inspired games. 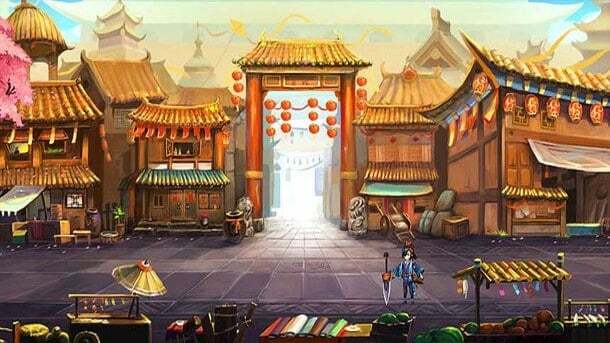 The Eastern-themed locations and riveting storyline in Divines of the East is more than enough to attract a handful of gaming fans. Even if you?re not a huge follower of the Orient though, this MMORPG definitely looks to be a success with a company like NGames behind it.